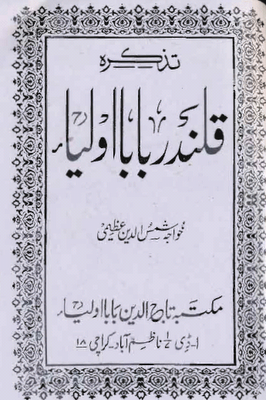 A highly researched booklet on Imam Mehdi (AS) referring Ahadith-e-Mubarika, excerpts from Imam-e-Rabbani Mujaddid Alif Sani’s (r.a.) Maktoobat, Shah Waliullah Muhadith Dehlavi’s (r.a.) book ‘Al-Tafheemat al-Ilahiyya (التفهيمات الالهية)’ and Shah Ismaeel Dehlavi’s (r.a.) book Sirat-e-Mustaqeem. This entry was posted in Hazrat Qalander Baba Aulia (R.A.) - Khawajah Shamasuddin Azeemi, Tahir ul Qadri. Bookmark the permalink. Dear All,I hope now you are thinking about the date of 21 June, 1960 🙂 :)Well, It has spiritual meaning yet very simple. Only for those who ponder on signs, I will not tell.I salute my Auliya Allah for their vision. MAy Allah shower His endless blessing on All of them. Masha'Allah nice post. Khilafat-e-Zahri from Abu Baker r.a and Khilafat-e-Batni from Hazet Ali r.a will join together in Imam Mahdi a.s. Allah will give him political, physical, religious and spiritual strength to bring justice in whole world. Insha'Allah.“Remember when Allah made a covenant with the prophets: “Now that We have given you a share of the Book and Wisdom, and then A MESSENGER COMES TO YOU CONFIRMING WHAT IS WITH YOU, you must believe in him and help him.” He asked, “Do you agree and undertake my commission on that condition?” They replied, “We agree.” He said, “Bear witness, then. I am with you as one of the witnesses.” (Surah Al ‘Imran, 81)The words “… then a messenger comes to you confirming what is with you,” give a numerological calculation of “THE YEAR 1956.”“The hypocrites are in the lowest level of the Fire. You will not find any one to help them,” (Surat an-Nisa’, 145)… If the shadda is taken as two nun letters, and if silent signs and (ye) are counted it makes 1376 (1956-1957), this cruel dissension (this hypocritical system based on irreligiousness and oppression) will be reaching the silence degree (will be silenced)… 23 March, 1956Pakistan became the world’s first Islamic republic. Yes I can give one hintSpiritual meaning of this date has been given in some older post of this blog.As Allama Iqbal saidWohi Hai Sahib-e-Amroz Jis Ne Apni Himat SeZamane Ke Samunder Se Nikala Gohar-e-FardaThe empire of today on him who fishes tomorrow’s pearl up from Time’s undertow. you will not tell hmmmmlol….u invoked curiosity ..
http://www.lasanisarkar.org/mag/072012/index.php?imageNo=11,back=1plz visit this article.Especially read the comments of pir-e-tareeqat Mian Muhammad Yaqoob Chishti Nizami Sahib,Father Aftab James Pal,Pandit Rmash Chaman on next pages. From Islamic early history resemblance we get some points I thought some pointsAt the time of ghazwa Badar Muslims were planning to stop supply line of quresh Makkah They plan to stop Abusfian trade caravan In return Allah wanted great victory to them they faught in Badar. This is milestone in islamic history. In the situation in pakistan we must stop NATO supply / and if we do this we get prize like BadarAnd if we do this Inshallah Allah helps us and save us from all enemies. Wa Aliekum AssalamAllama Iqbal ko hi samajh lain aur Allama Iqbal kehte the k agar kisi ko kamil murshid na mile to wo Maulana Rumi ka hath pakr le. Ayek do din key aagey ya pechey se koi nahi faraq parta…. asal waqat sirf Allah ko pata hai… important is year not day. @ AnonymousYes kyn nhi. 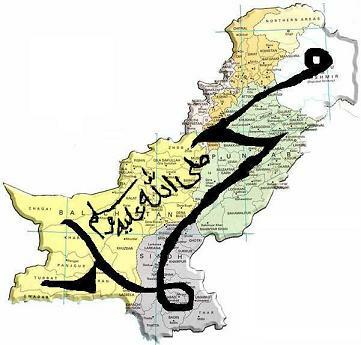 Ap ko bs ye krna ho ga k apni zindagi ka aik aik lamha AAP (S.A.W.) ki sunnat k mutabiq guzarna ho ga. Please read Quranic referance. 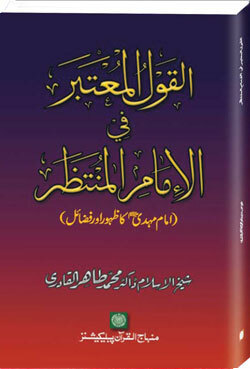 http://www.express.com.pk/images/NP_LHE/20120723/Sub_Images/1101577844-1.jpgIss Qurani ayat ke mutabiq Sheikh osama ka Allah ke han buhat bara rutba hai. Asalaam alikum wr wbSomething amazing has happened, Former Army chief and president pervez musharraf hs visited our beloved shaykh Nazim Adil al Haqqani Naqshbandi (R.A)..and taken baht !